We are currently accepting resumes for Event and/or Event + Studio Interns at the Sunday Suppers. 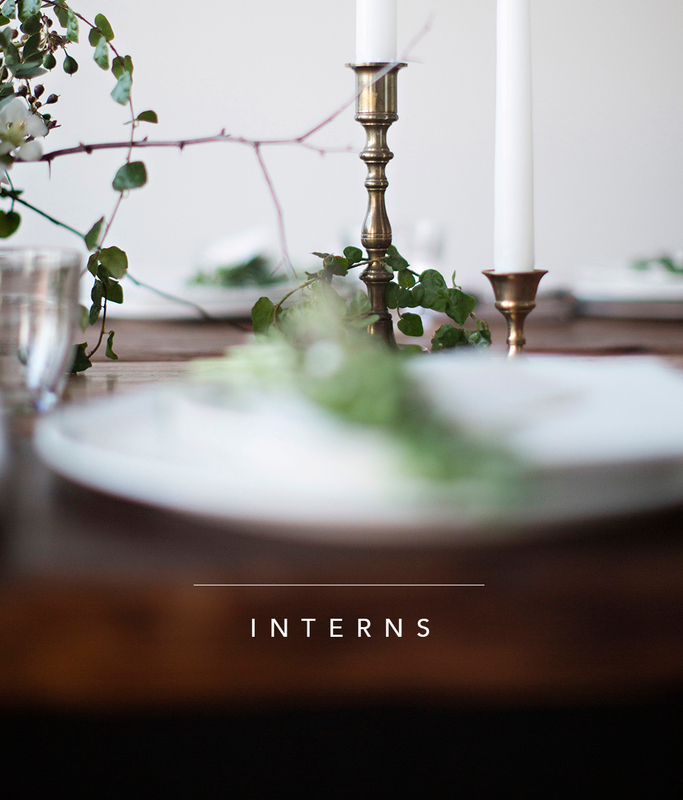 To apply email info(at)sunday-suppers.com, please send your resume, a cover letter as well as visual links to your pinterest and instagram or tumblr, please use the Subject "Sunday Suppers Internship” when applying as well as Event or Studio/Event as applicable. Below is a description of the positions - as always we are looking for bright happy demeanors and a love and passion for food, design and community. At events it's an all hands on deck approach. We usually host dinners once or twice a month on weekends. You will be notified well in advance of all upcoming events and are expected to be available barring unusual circumstances. Six to twelve month commitment.